Our Restaurant, “Brasserie Rosal”, is well established and presents an extensive menu of top class dishes prepared by our executive chef Andi. 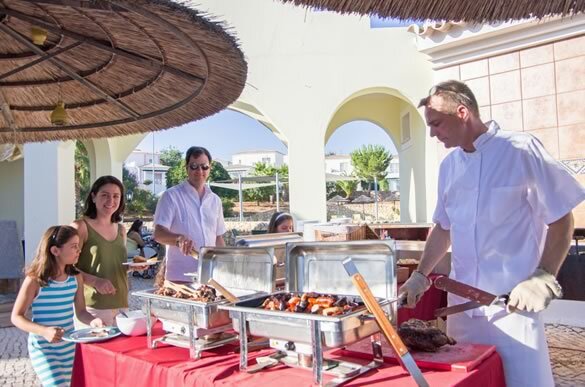 Mediterranean food, high-quality atmosphere and summer BBQs are just some of the highlights at Brasserie Rosal. 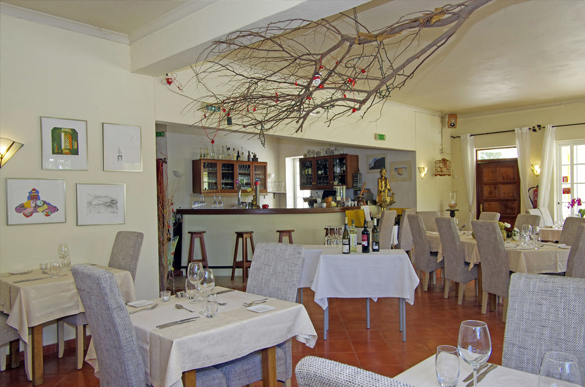 Run by Nico and Andi, Brasserie Rosal offers a very international menu, with Italian, Spanish, French and German influences. During the chilly winter months you will find a cosy and warm atmosphere created by our lovely flickering open fire. Also, we cater for your private party for up to 60 people. Please inquire about our exquisite menu and buffet suggestions for your special event. Our restaurant is open for dinner from 18:30 to 22:00, Monday to Saturday. - Closed November till end of February. We appreciate advance booking at all times, however, for the special nights like BBQs and Live Music, early booking is absolutely essential to avoid disappointment.